Pingonaut children watch put to test. In our test of six children’s smart watches, one of the candidates is the Pingonaut Kidswatch. The watch has many features, like realtime localization of the loved ones, geofencing, telephone function as well as voice and text messages. In the following blog-post we present our findings. Important classes and functions are obfuscated which makes Reverse-Engineering more difficult. An API-Key is being used for authentication between App and server. The API-Key is stored unencrypted, but in the secure App’s folder. 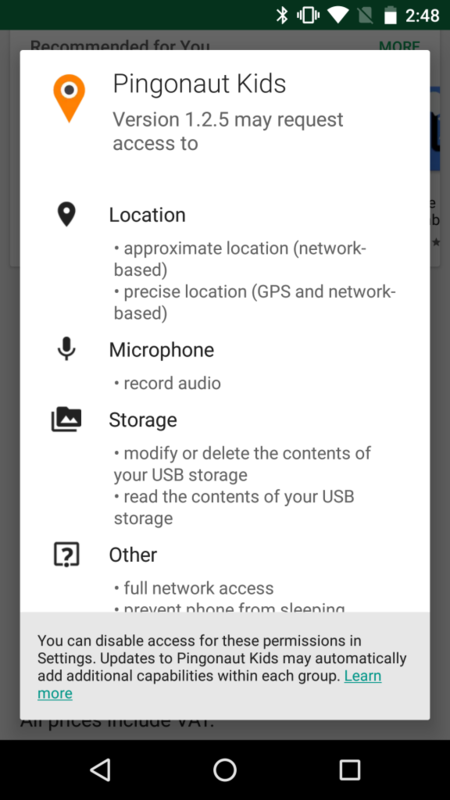 Because this folder can only be accessed by others, if the phone is rooted, we don’t consider this as a major issue. All features of the App can also be used via API requests, e.g. localization or sending text messages. The App uses SSL encrypted connections for every communication, but hasn’t any Certificate Pinning implemented. Therefore, a Man-in-the-Middle attack could be possible, by making the user install and trust a crafted certificate. The whole online communication of the Pingonaut App is TLS1.2 encrypted and therefore protected against simple replay- or man-in-the-middle-attacks. Servers of third parties are also contacted with encrypted connections only. The manufacturer’s API (api.lokato.info) doesn’t have Rate Limiting implemented. Because of that, many Brute Force attacks are possible in a short amount of time, without being recognized or blocked. The probability of a successful attack is quite low (1:3236), nevertheless we recommend to fix this issue. The german manufacturer Lokato built a solid solution in regard to privacy and security and is being awared with a top rating of three stars in our comparison test.